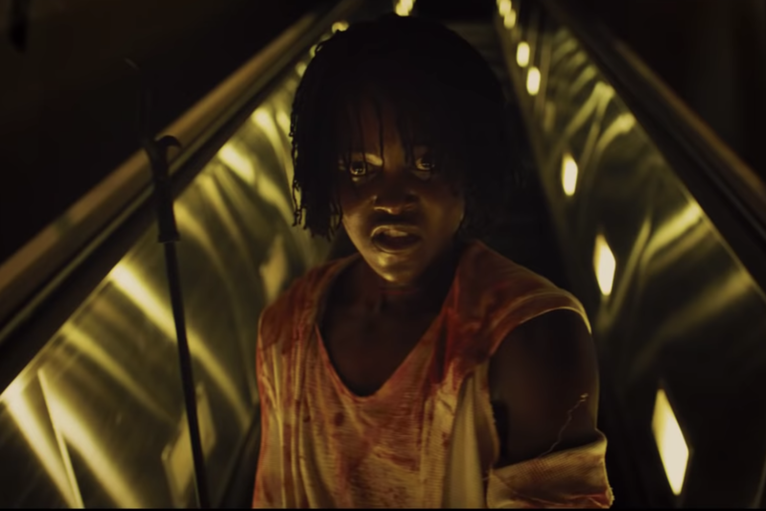 A sophomore horror from Jordan Peele after the success of Get Out, Us may not reach the heights of its predecessor but it undoubtedly has something to say and is bolstered by fine acting. As a child, Adelaide (Lupita Nyong’o) was traumatised when she wandered into the hall of mirrors at the Santa Cruz boardwalk. She encountered what seemed like a doppelgänger but was never able to bring herself to tell her parents what happened. As an adult, Adelaide is now married to the affable Gabe Wilson( Winston Duke) and has two children, daughter Zora( Shahadi Wright Joseph) and son Jason(Evan Alex). They are visiting Santa Cruz once more so they can see the wine-swilling and discontented Kitty(Elisabeth Moss) and Josh(Tim Heidecker), both friends of the couple. Adelaide has never confided in anyone about what happened all those years ago and is unsurprisingly apprehensive. While there, Jason wanders off which really terrifies Adelaide as it brings back bad memories and they return to their holiday home. A series of other coincidences alarm Adelaide and just as she is confessing to Gabe about her trauma , an eerie sight comes into view. To the horror of the Wilsons, they discover the figures outside are their doppelgängers . Menaced by their sinister counterparts, they are thrown into terror. And it appears that doppelgängers are not just for the Wilsons, but for many others too. Desperate to survive and protect her family, Adelaide must attempt to outwit the doubles and figure out their origins before it’s too late. Jordan Peele is clearly going for something more ambitious here and displays immense talent too. Not every decision he makes is good, but he is largely at home with this kind of work. In relation to the highlight that was Get Out, Us falls short. But Get Out set a very high standard that it would be impossible to reach that level of success. On the praise front, Us most certainly keeps you glued with an unusual rhythm and the fact that we aren’t spoon fed information and is open to interpretation. Peele has you sympathise and get to know the Wilsons before all manner of hell breaks loose, which is commendable especially in the case of Adelaide. I don’t think Us will be a movie for everyone as it’s horror but with a difference. I’m firmly in the middle as of now, but I think the positives are outweighing the negatives. Once you settle into the groove of the movie, Us begins to reveal its themes and message. And while it bites off more than it can chew, I was impressed by the allusions it made to the oppressive nature of society and duality. This is backed up by symbolism that eagle eyed viewers will eat up as it all means something. The humour gets a tad excessive and I would have appreciated Peele reigning it in a bit more. I found that some laughs overshadowed what Us was going for and didn’t really help. But the horror and off kilter imagery stands out for a start and continues throughout Us. It has been more than a bit overhyped, but definitely has its merits more than its faults. I feel that Us is one of those movies that will improve when watched again as there is mystery there and I’m sure parts that we might have missed. So watch this space as my mixed opinion may change in the future as I think more on it. 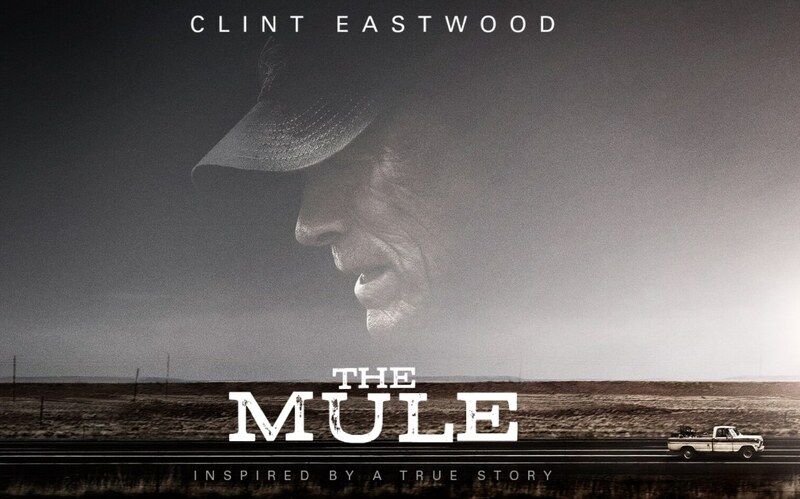 There is some chewing the cud to do that’s for sure and certain.The score is pretty stellar at conveying the overall eerie and downright spooky nature of Us, while a well chosen soundtrack is in full swing too with many a highlight of juxtaposition. The cast do wonders, especially considering each is playing two people. 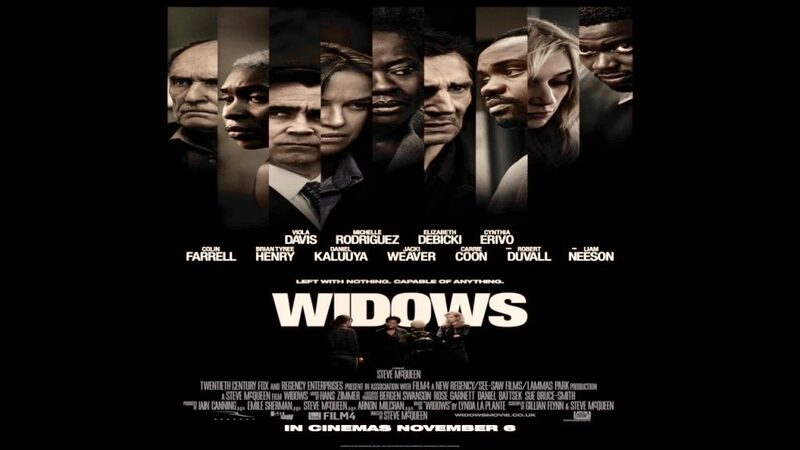 Lupita Nyong’o is the biggest standout with two fantastic and very convincing performances. While Adelaide is frightened but eventually strong, her doppelgänger is sinister and unnerving. She finely judges both roles and it’s simply amazing how much she puts into both, from the fierce look in Adelaide’s eyes to the skin-crawling voice of her double. It takes a strong actress to convince as two very different characters, but Lupita Nyong’o is more than up to the challenge. Nyong’o deserves nothing but praise for her accomplishment here which is two completely different performances executed handsomely. Winston Duke injects a lot of humour into the role of affable father and husband, he does get some of the best lines and runs with them with fine comic timing. He also provides a hulking presence as his creepy double. Usually kids in horror movies fall into two categories; believable and annoying nuisance. Thankfully Shahadi Wright Joseph and Evan Alex are in the former category and hold their own against more experienced co-stars. In a small but memorable role, Elisabeth Moss conveys the dissatisfaction and vanity of her character with ease and commitment. Then she turns it up a few notches as a nefarious but strangely tragic double. Tim Heidecker supplies good support too as her husband. A bit overly ambitious but nonetheless creepy and with many messages among the horror, Us gets by on atmosphere and excellent acting, particularly from Lupita Nyong’o. Chris Washington(Daniel Kaluuya) is an African-American photographer who has been dating Rose Armitage(Allison Williams) , who is white. Rose invites him to meet her parents, but Chris is apprehensive of their reaction. They live in plush surroundings in upstate New York and Rose eventually persuades Chris to come with her. Upon arrival, things seem to go well with neurosurgeon Dean(Bradley Whitford) and psychiatrist Missy(Catherine Keener). But although Missy and Dean seem to welcome Chris , their attempts at being friendly and not bothered by his ethnicity come off as very heavy-handed. This is despite the fact they claim to be open-minded people and ones of culture. There is something decidedly off about them that only continues in the ensuing days. Chris was warned by his best friend Rod( Lil Rey Howery) about the way the parents might react but he thought his friend was being overly paranoid and over thinking things. Adding to this deep unease is that two of the servants, in the house are African-American and act very strangely towards Chris. Rose assures him that her family is cool with him, but Chris is unable to shake off the vibe that something sinister is underlying him stating there. As the feeling of paranoia and terror increases(though he attempts to pass it off as Rose’s parents being shocked she is dating a black man), Missy at one point hypnotises Chris without him agreeing to it, Chris soon realises that he is at the centre of something very twisted indeed. He was mainly worried about how Rose’s parents and social circle would reacted to him dating their daughter, but that’s the least of his worries in this creepy horror flick with something to say. As first time director, Jordan Peele infuses Get Out with a building tension right from the start. He’s clearly well versed in horror as he is in comedy, which both featuring throughout. 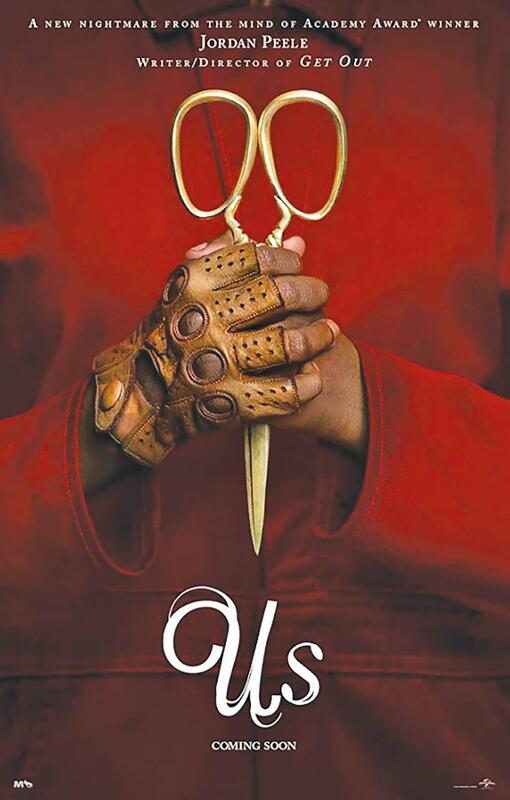 It’s the confidence of Peele as a first time director that stands out here and impresses with how he takes the time to set up the story and pull you in on the horror that unravels. You’ll probably never look at bingo or the chiming of a spoon on a teacup the same way again after viewing Get Out. 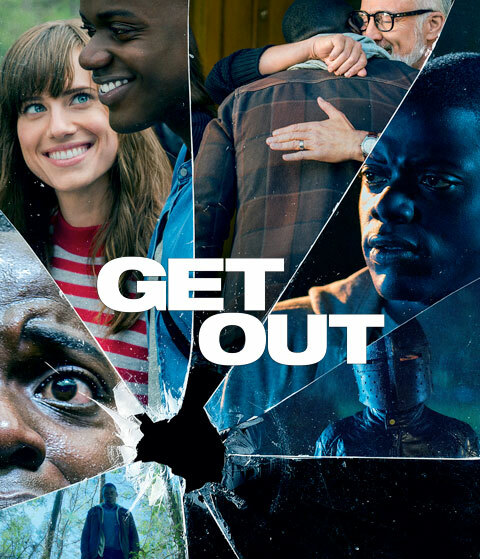 While being a very disturbing horror film with oodles of atmosphere, Get Out is also at times laugh out loud funny. It’s got a snappy wit that is best embodied by Chris’s best friend. He says outrageous things but they are often not far from the strange truth st the centre of the film. Wit also appears in the form of satire at people who claim to be open-minded, when in actual fact are very much prejudice. Peele’s writing, which won an Oscar, lampoons this and blends it with the unnerving sense of something being very wrong with the family Chris meets. 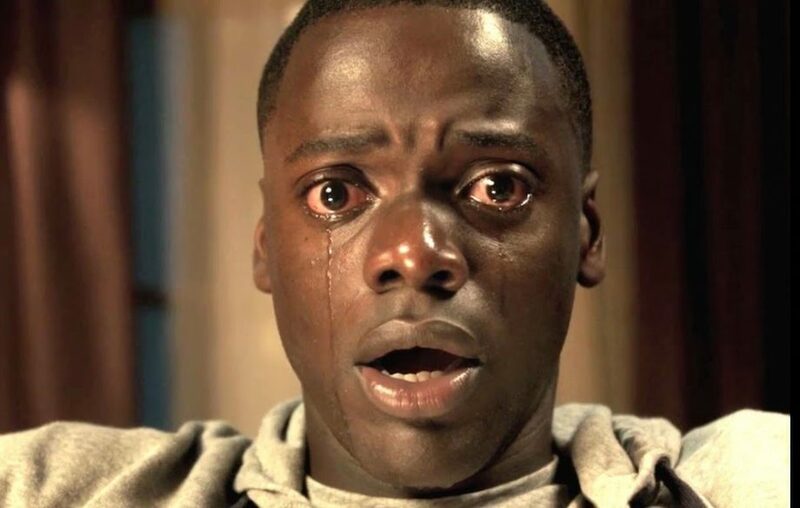 Get Out is the kind of film I can imagine revisiting again, in order to discover things I may have not noticed upon first viewing. And that’s a compliment at least in my movie viewing book. A dissonant music score keeps you constantly on edge with screeching violins and occasional choral chanting. Also pervading the heavy atmosphere is a moody cinematography that’s also extremely complimentary to the story. 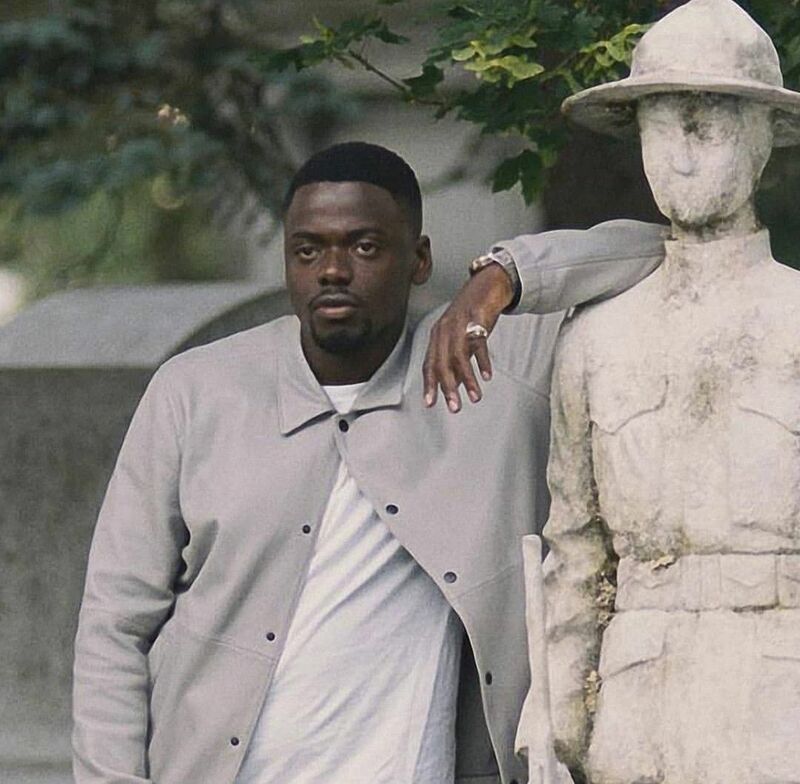 Heading the cast is the talented Daniel Kaluuya. He possesses a kindness, skepticism and realisation as Chris that makes you relate to him. His look of bewilderment at the events often mirrors our own way of approaching the unusual catalogue of creepiness that takes form. Put simply, Kaluuya is an impressive lead who is clearly going places. Allison Williams is also very good as Rose; who might not be what you think when you first look at her and is a testament to the talent of Williams. 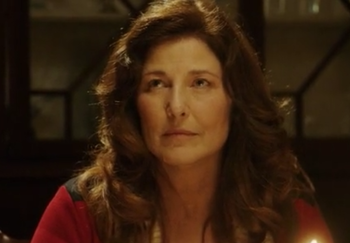 Bradley Whitford and Catherine Keener are sublimely excellent as the unusual patents whose privileged existence masks something extremely sinister. Both exude a certain level of menace but intelligence too, which is a dangerous yet effective combo. Further creepiness comes in the form of Caleb Landry Jones who has a very offbeat but worrying vibe to him, backed up by Marcus Henderson and Betty Gabriel who seem to have stepped out of The Stepford Wives and into the 21st century. Stealing the show in his appearances has to be Lil Rel Howery, who is an absolute hoot providing the social commentary and outrageous humour of the piece. He’s laugh out loud and heroic at the same time and I very much enjoyed his performance whenever he appeared. 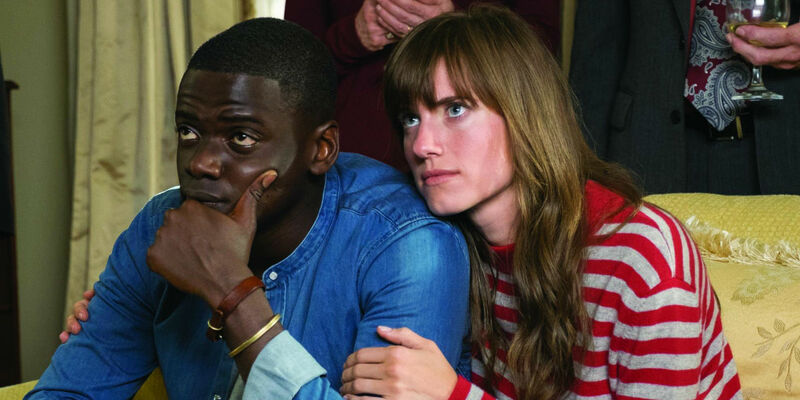 Splendidly unusual, darkly amusing and topical in themes, Get Out succeeds as a very creepy and unnerving horror that stands out indeed and comes highly recommended from me. A melancholy and passionate story of Post-War desire and the long-lasting impacts of war itself, The Aftermath is not that original, but does she’d some light on the psyches of people learning to live after conflict. Plus, it’s complete with a handsome cast and is wonderful to look at. It’s been five months since the Allied victory and the world is trying to move on from the destruction and darkness of the Second World War. Into the ruins of Hamburg comes Englishwoman Rachael Morgan(Keira Knightley). She is there to live with her estranged husband, Colonel Lewis Morgan(Jason Clarke) , who is closed off and reticent with emotion. He is stationed in Hamburg and is one of those charged with rebuilding the city. There is an obvious distance between the couple, which we learn is a result of the harrowing death of their young son during the War. They move into a grand house, which until recently was occupied by widowed German architect Stefan Lubert(Alexander Skarsgård) and his teenaged daughter. After losing her son, Rachael is apprehensive and hostile towards Stefan and other Germans. Lewis seems to adopt a more diplomatic position, trying to not group innocent Germans into the stereotype of all being Nazi’s. A further wedge is driven between Rachael and Lewis when he reveals that he will let Stefan and his daughter stay in the house. He thinks it is wrong to simply kick them out of the house. Rachael is vehemently against the idea of letting them stay, but Lewis insists on it. While Lewis is busy and not communicating with his wife about what’s become of their marriage, Rachael struggles to cope with life and her own feelings of hurt and anger. Around this time, the tensions between Rachael and Stefan move into an intense and unexpected affair. Rachael discovers a strength and semblance of normality again, brought out by the wounded but sensitive Stefan, who lost his wife in the war. Their love intensifies once Lewis is away on duty. But their affair isn’t meant to last and will no doubt have harsh consequences if ever revealed. James Kent, who previously directed another war drama in Testament of Youth, once more provides his efficiency and sensitivity to this emotive story. He’s got the right hand to steer what is a familiar tale and still keep it interesting. While it isn’t as deeply felt or tragic as the aforementioned Testament of Youth, Kent acquits himself admirably here. Familiar is a word many reviewers have applied to this film and I can see why. But familiar doesn’t mean bad in any way, just a tad repetitive in some areas. Where The Aftermath most succeeds is its ruminations on the difficulty of grief and how war is not always black and white. We examine how the War did damage on both sides and that the impact of it didn’t just leave people once the fighting ended. There was a whole world of sadness, regret and hardship among millions affected by the length of World War II and what it brought with it. The three principal characters are all hurting from loss and bottling it up, setting the stage for it to come out unexpectedly. There are some moments that occasionally ring a bit hollow and sometimes events play out in predictable fashion. The subplot of Stefan’s daughter falling in with a Nazi who still wants to fight for the cause is pretty boring and not at all well handled. There’s a lingering feeling that a bit more oomph may have benefited The Aftermath. But a few unexpected moments and the way it quietly yet perceptively examines hardship and the pain of war, makes The Aftermath have a certain emotional quality that overcomes a few flaws. 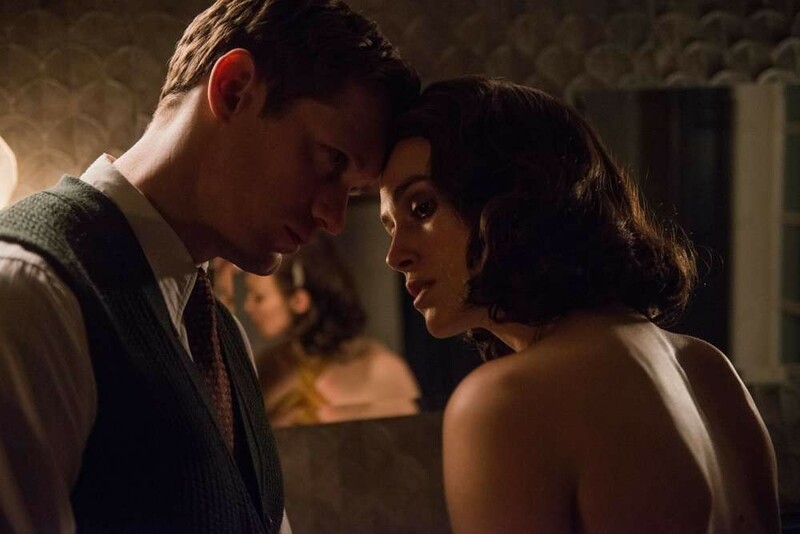 In regards to how The Aftermath looks, it’s gorgeously shot with snowy vistas a plenty and a certain glow, as well as passion in the love scenes between Knightley and Skarsgård. Yet it doesn’t shy away from the destruction of war and the dark remnants of conflict hang with a gloomy air alongside splendid winters. Costumes and sets are also of a high quality, matching the period with immense detail and style. And the music, which is a big highlight, has a romantic longing and sweeping angle that is just right for The Aftermath. Plus, the lovely usage of ‘Clair de Lune’ is a nice touch and always a joy to my ears. A handsome cast fleshes out their roles with emotion and clarity. 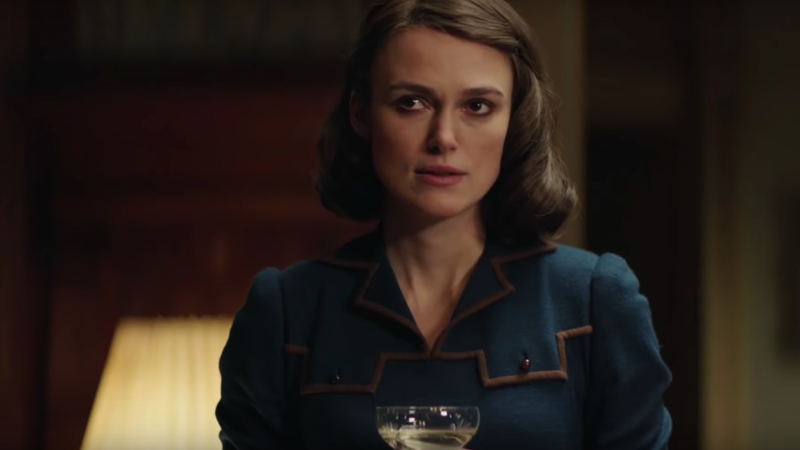 Heading the lot is Keira Knightley, who has poise, sadness and the eventual emergence of hope down to a tee. Her face expresses so much of what Rachael is trying to hide and she reveals emotion slowly but effectively. Knightley is definitely the right person to embody unresolved anger, deep melancholy and bruised hardship in a period setting. 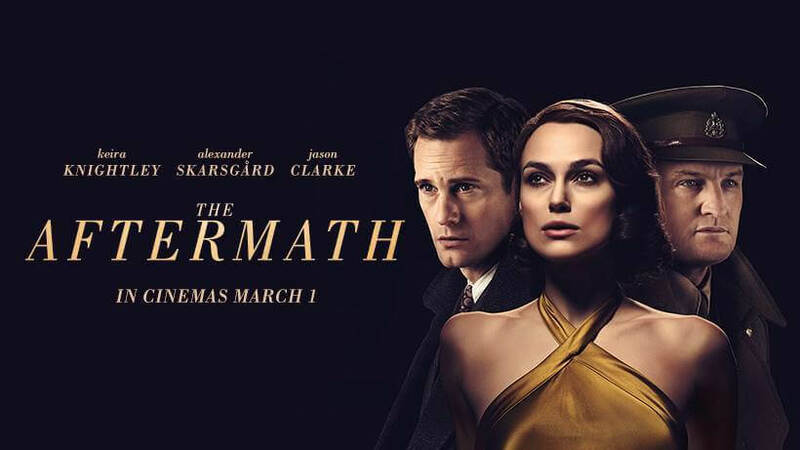 Simply put, Keira Knightley is excellent in her role. Plus her chemistry with both Alexander Skarsgård and Jason Clarke is spot on in different ways. Alexander Skarsgård has the looks and quiet dignity for his role as romantic stranger sweeping Rachael up into an affair. But he’s no wolf, simply a man who is decent and also hurting from the impact of World War II. Just like Rachael, he is searching for someone to understand his grief with and Skarsgård plays that beautifully. Jason Clarke is often the most quiet character of the peace, being the utmost definition of the stiff upper lip. He’s a man whose feelings are coiled within and that he tries to keep in check. Clarke, who possesses a sad eyed demeanour and the feeling of internal strife, riveting at playing a man dedicated to his job which allows him to bury his troubles. But once they come spilling out, all the pain and bitterness is there plain to see. The two sides of the part are telegraphed wonderfully by the often underrated Jason Clarke. These three actors do their thing with admirable skill at delving into the damaged minds of each character and how they need to unravel. 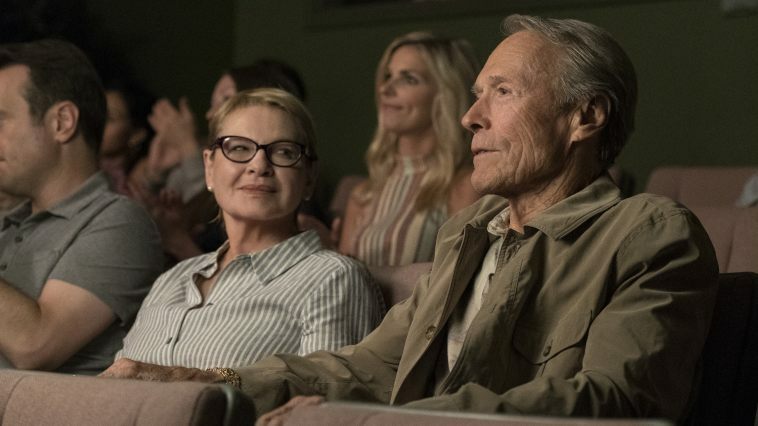 So while it gets a bit clichéd in quarters, The Aftermath is still watchable as a stylish evocation of grief and the emotions pertaining to it. Handsomely shot and nicely performed, it’s far from a masterpiece, but still a movie with enough emotion to stir. An unsettling psychological horror with the trademark Yorgos Lanthimos touch and reference to Greek myth, The Killing of a Sacred Deer is very disturbing but impossible to turn away from. Cardiologist Steven Murphy has it all; a great career, a beautiful ophthalmologist wife Anna and two young, well-behaved children, Kim and Bob. His picture perfect life in the suburbs is seemingly here to stay, but there is a tiny and disturbing hitch too it. He has a friendship with a 16-year-old boy named Martin, who he meets and showers gifts upon. 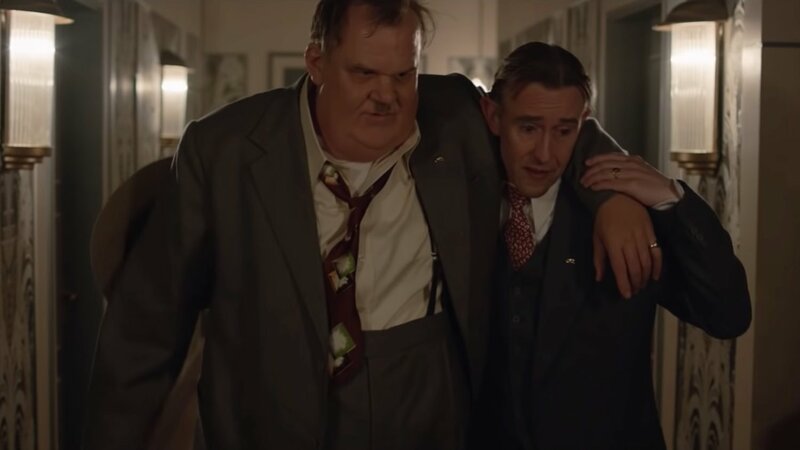 Although is friendly with Martin and introduces him to his family, there is something decidedly off about the whole arrangement that you can’t shake. And soon enough, the demanding Martin, when he’s not trying to set up Steven with his mother, becomes a thorn in side. He becomes more dependent and doesn’t seem to understand that his presence is not always needed. His obsession grows and starts to worry Steven, who mainly took interest in the boy after his father, who he treated earlier, died . Then, out of nowhere, Bob loses the use of his legs and is hospitalised. This is soon followed by Kim, which begins to have an impact on Anna who is in the dark on what is happening. Steven starts to unravel too as things turn worse for his idyllic family and he’s thrown into a tailspin. Yet as illness sets in, an increasingly menacing Martin reminds Steven of a past mistake of his that links to the young boy’s life. Soon everything is under crisis and Steven’s existence is torn apart by his past actions and the boy who wants to even what he sees as the score. With a catalogue of films that revel in dark subject matter, unusually black humour and an all round weirdness, Yorgos Lanthimos has really made a name for him. The Killing of a Sacred Deer is Yorgos Lanthimos working fluently and creatively to fashion a story of deep-seated revenge and culpability. He has this bubbling intensity and creeping eeriness that happens right from the startling opening of an open heart surgery. You know from that point on it’s going to be a disturbing movie, but what a movie it is. Lanthimos is in control here; cold and calculating in the style of Stanley Kubrick whose work clearly has an imprint. And while Martin is what seems to be the main antagonist of the piece, the other characters also sport unusual tendencies that mark them out as not as innocent or polished as they outwardly appear. For example, Steven is an arrogant man who can’t handle not being able to exercise control over things. This extends to his love life with his wife, who he has pretend to be under anaesthetic when getting intimate. The deadpan, almost robotic way of talking that has come to populate the work of Lanthimos is here, but does also allow for shadings of emotion and drama in there. And the uneasy and uncomfortable humour further sears itself on to the mind, as characters behave in ways that seem at once alien and yet so ordinary. It’s the kind of humour that you don’t know whether to laugh at or question, and is all the better for it. It sure keeps you on your toes as you navigate another weird world from the mind of Yorgos Lanthimos. And though some of it might sound familiar to lovers of psychological horror, it’s the execution that truly counts and Sacred Deer delivers with its own twist on things. With long corridors of scrubbed white, cavernous interiors and a zooming, voyeuristic camera, The Killing of a Sacred Deer also deserves praises for what it visually gets across to the viewer. It’s a sinister and slithering atmosphere of increased dread as evil and retribution combine and you feel the hairs on the back of your neck stand up. 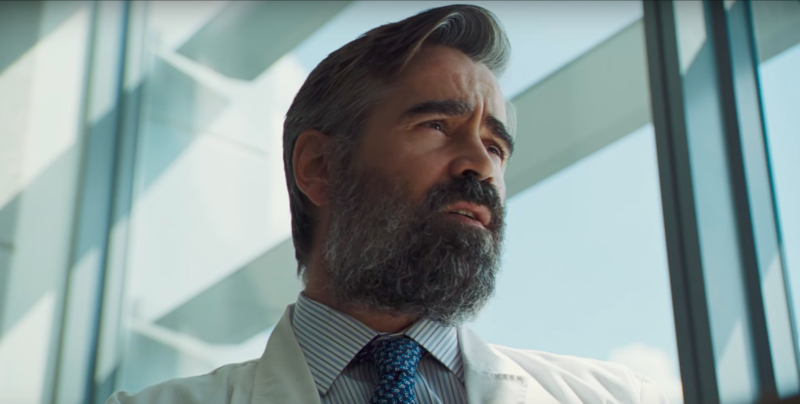 Credit must go to the cinematographer that is Thimios Bakatakis for imbuing The Killing of a Sacred Deer with such an impending aura of doom and inevitable woe. We often observe characters from a distance or from a looming height; neatly edited and giving the impression of spying on events as they take shape. The whole psychological aspect of having to make a horrifying decision for something you’ve done is creepy and more than makes its mark on you as the gears of tension continue turning. Discordant strings telegraph that something is not right from the word go and the addition of opera accentuates the tragedy here. The film is influenced by a Greek myth that gives the movie its title and accordingly, the swelling and rumbling of music heralds the approaching agony of loss and blame. Those looking for a comfortable viewing experiences better check those expectations at the door as The Killing of a Sacred Deer is not one for the easily frightened or spooked. Colin Farrell, who was so good in The Lobster, plays someone spineless and full of themselves here. His character’s life is so meticulous and to his liking that it’s given a royal kicking when horror unravels. Sporting a bushy beard and his real accent, Farrell is extremely watchable as the cardiologist haunted by the past. 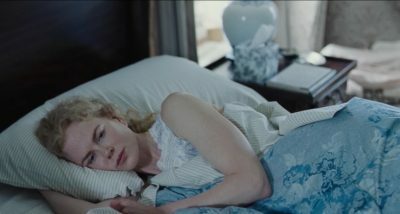 Equally as good is the ever dependable Nicole Kidman, who’s been on a roll recently with her performances. With her face that silently projects inner turmoil and frazzled intensity, she’s ideal for the role here that could have easily just been a throwaway part. With Kidman in it, it’s impossible for it to be anything less than stellar, particularly when she comes into her own in the latter half of the film and everything gets laid bare. 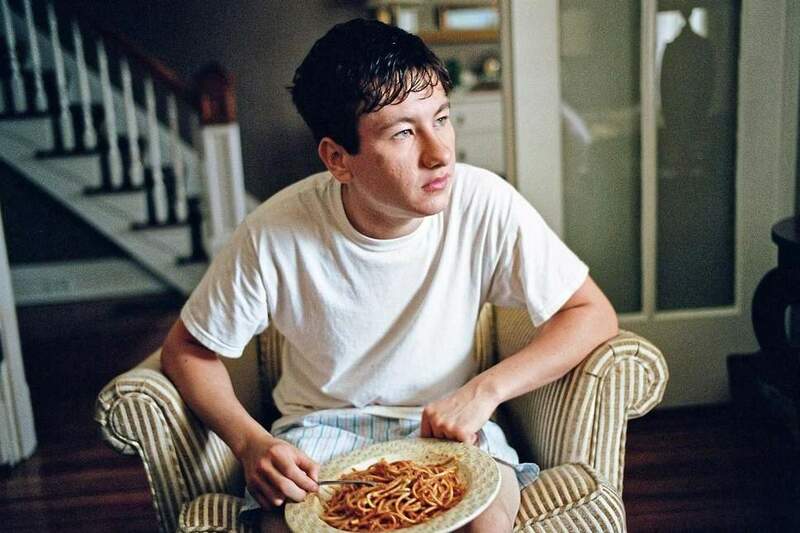 The Killing of a Sacred Deer is my first introduction to young actor Barry Keoghan. And if the rest of career is as good as his work here, great things await him indeed. He has this naturally mysterious and sinister presence, complimented by how he speaks the dialogue in a halting but intimidating way. It’s enough to set you on edge and Keoghan knocks it out the park as a vengeful teen, dishing out his brand of justice to an idyllic family. Raffey Cassidy plays the daughter of Steven and Anna; who is drawn to Martin even though he’s the one out to ruin her family. Young Sunny Suljic portrays the son, who is the first to fall ill and crank up the eeriness. And it’s nice to see Alicia Silverstone back on screen again with a very memorable one scene performance. She gets the movie’s best line after she is rejected by Steven for putting the moves on him. Everyone gets in to the mindset of the film and the unusual demands of it. 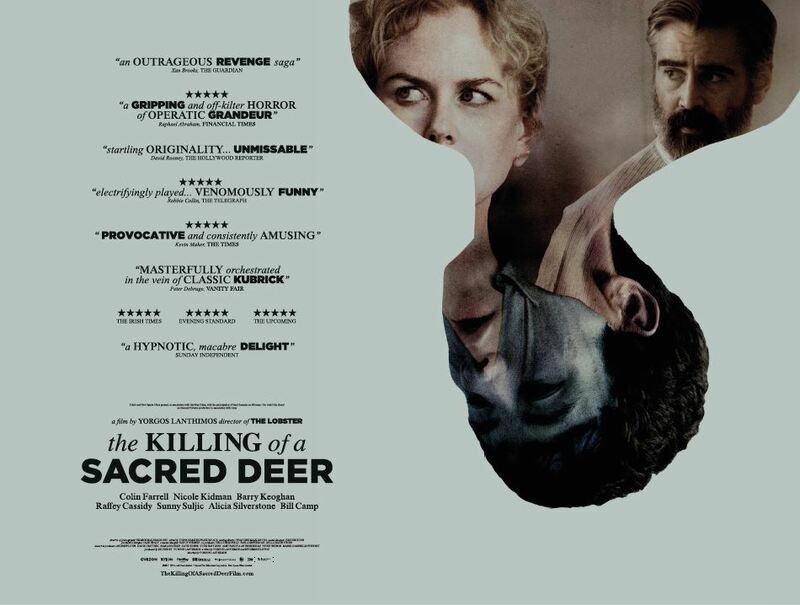 A spine-chilling, deeply unnerving and memorable horror/thriller with psychological terror at the centre, The Killing of a Secret Deer is a haunting movie that is hard to shake off. 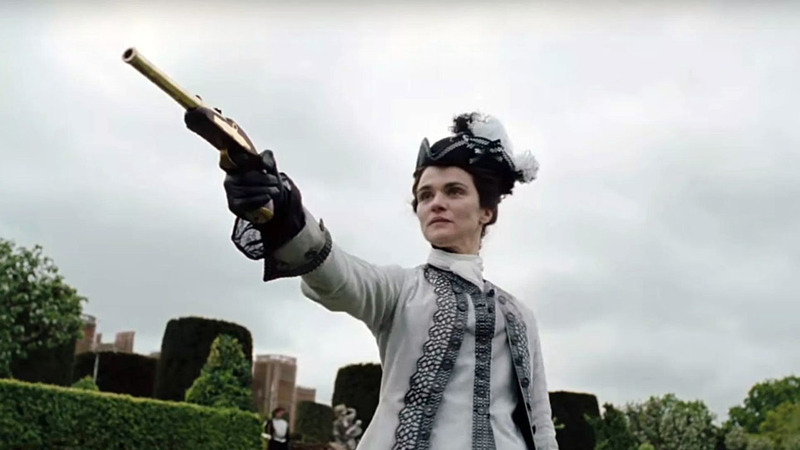 A riotous, outrageous and caustically witty look at the court of Queen Anne and the machinations of it, The Favourite is both savage and very funny as directed by the maestro that is Yorgos Lanthimos. It is the early 18th Century and England is at war with France. Queen Anne, The last of the Stuart monarchs, is on the throne but is besieged by sadness, gluttony and manic mood swings. She has lost seventeen children and now keeps seventeen rabbits in their place, while also enjoying many unusual activities. Anne is distracted from her duties as Queen and is extremely vulnerable. She relies heavily on Sarah Churchill, the Duchess of Marlborough. Sarah is powerful and persuasive, trying to make the Queen continue with the war as her husband is at the helm and she wants a level of power. Although she obviously cares for Anne( with who she is secretly sharing a bed), she is very manipulative and uses her position of favourite to her advantage. Although she is in the Queen’s life and attempts to steer her away from the political efforts of leader of the opposition Robert Harley, she doesn’t account for the arrival of someone vying for position. This person is her impoverished cousin Abigail Hill, who was formally of high society but now of a lowly station. She begs Sarah for a job and is put in the scullery. This is much to her chagrin and she aspires for more in life than the drudge of being a simple servant. She gains a chance at climbing the ladder when she helps with making something that eases the gout which the Queen suffers from. Anne takes a shine to Abigail and has her become an ever more present person in her life. Sarah doesn’t take kindly to this, having misjudged Abigail as just a simple innocent. The actual fact is that Abigail is ruthless and cruel, willing to bend over backwards in favour of the Queen but secretly working her vicious powers to secure a foothold in society. Soon a dangerous and vindictive grab for power is at play, with both Sarah and Abigail hoping that they come out on top as the favourite of Queen Anne. The Favourite finds Yorgos Lanthimos at his most anarchistic, tearing apart the restrained image of period pieces and inserting wildness and dirty games. If period dramas are often seen as rather innocent, The Favourite is a welcome, atypical piece that isn’t afraid to be weird and bracingly eventful. Featuring lust, eccentric activities like racing ducks and lobsters, as well as a very sexually dark atmosphere, The Favourite is very much it’s own being and an amazing change of pace. Historical accuracy is probably not what you’ll find here, but when has history ever been this fun or oddball? The script wisely makes the women layered, peeling back to reveal the flawed but fascinating nature of all of them. And there is genuine emotion to be found in this weird and cruel world of 18th Century court, mostly found in the vulnerable but not completely broken Anne. It may not be written by Lanthimos, but it unmistakably captures his sensibilities and transfers them to a sinfully, devilish and amusing tale of rivalry, coupled with a liberal sprinkling of swear words. And the spinning, panning and fish eye lens employed supplies a dizzying and whirling visual style that marks it as something different. Add to this the flickering, golden interiors that bathe a lot of the action in a dusky setting, The Favourite aces it. On musical grounds, classical music fills the main bulk of the film, creating high drama and a quickening intensity to the power struggle at the heart of The Favourite. The only tiny flaw, and it is very small, is that the film does sometimes run aground and needs a bit more pace. But with that being my only minuscule gripe, I think it’s safe to see The Favourite is one of the most outlandish and excellent movies in my recent memory. What really brings The Favourite to an amazingly high level is the work of a trio of fine actresses. Comprising Olivia Colman, Rachel Weisz and Emma Stone, they turn in some mightily effective work that ranks as some of their best. 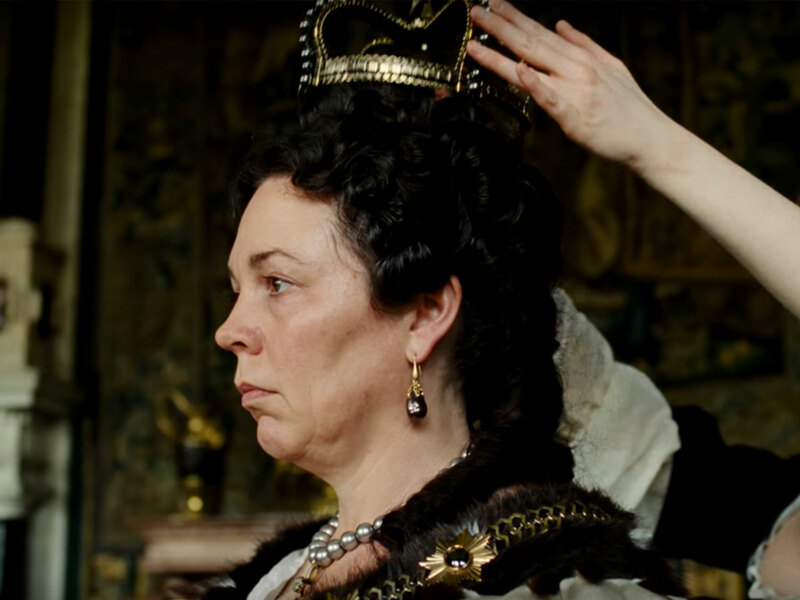 Olivia Colman is the centre of it all with a performance of both tragedy and comedy. Anne is a melancholy and almost childlike woman who seems to be as fragile as glass and as changeable as mercury. Colman finds these mannerisms and adds yet more levels to this character, telegraphing a whole host of emotions from pity to humour as Anne shows she’s not as temperamental as she at first appears . Simply put, Colman is winning and ideal in her acting here. Ably matching her is Rachel Weisz; all clear-cut words, biting wit and intense looks. Weisz clearly relishes the dialogue and gets some wickedly, catty put downs. Yet like the other ladies here, Weisz displays another side to her role and makes it multi-faceted. Emma Stone, complete with crisp, English accent, delivers one of her most memorable performances in a role that is far away the most daring one she’s ever done. Being a vindictive charmer whose innocent appearance masks a grasping and scheming viper, Stone’s having a ball. There are flickers of desperation there, but Stone most excels at being nasty and seductive. It’s not hard to see why all three ladies are in awards contention. In supporting roles, Nicholas Hoult is a hoot as a plotting but ridiculous member of Parliament, whose giant wig is as big as his ego. Joe Alwyn also provides much silliness and rakish behaviour as a nobleman who becomes infatuated with Abigail. 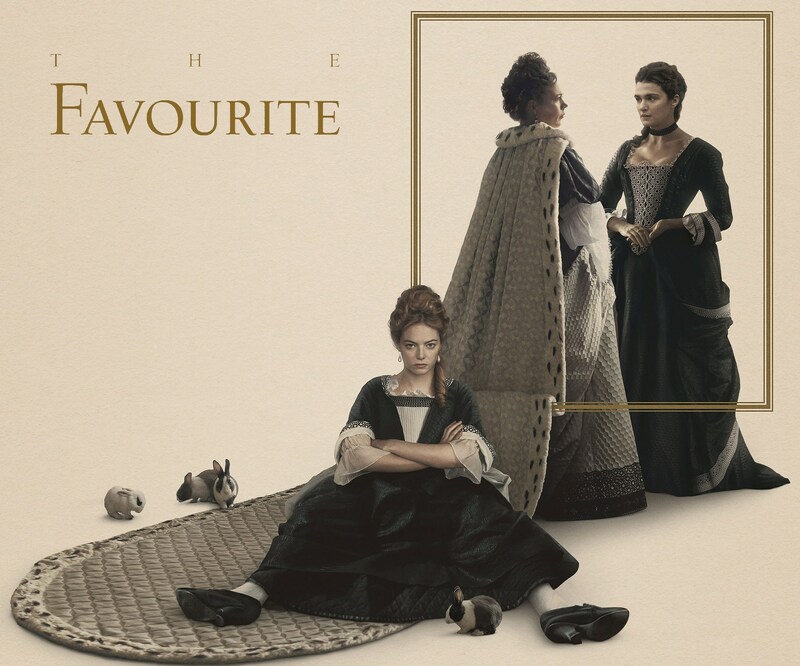 A completely brazen and well acted movie that boasts the trademark uniqueness of Yorgos Lanthimos and a strange depiction of power play in regards to royalty, The Favourite stands as one entertaining and unusual movie that for me is a must see. It’s a crowning achievement of directing and acting. 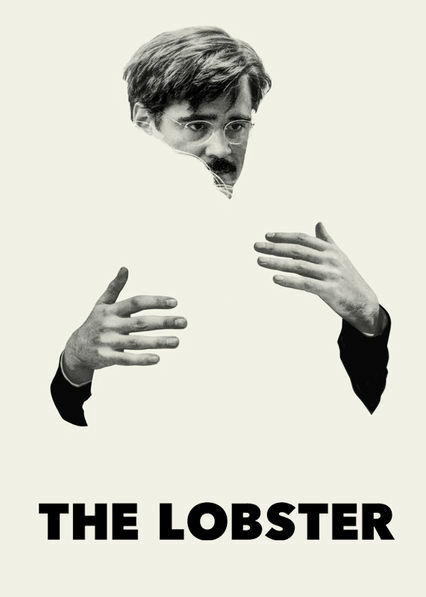 A provocative and riveting satire on the societal pressures of being in a relationship, The Lobster has Yorgos Lanthimos at his most biting and weird with this drama, highlighted by very dark humour. In a dystopian future, being in a romantic relationship is enforced. Those who are single are sent to a coastal hotel. David is one such person after his wife leaves him in the opening scenes. Sure enough, he is whisked off to the hotel. He is informed by the Hotel Manager that he must find a soul mate within 45 days. If he fails to meet this deadline, he will be turned into an animal of his choice( his being a lobster that gives the film its title.) Guests are expected to find someone who they share a certain characteristic with, no matter how small or seemingly insignificant. In this strange system, many rules must be obeyed and are punishable with force if one doesn’t submit to the way of thinking. David attempts to find a companion in this bizarre place, as he watches others go to unusual measures to ensure they aren’t transformed. The guests are given some chance at surviving as each night they are sent into the woods to tranquillize people known as The Loners. Each body tranquillised earns them an extra day to find a possible soul mate. After a brutal encounter with a heartless woman, David flees the hotel and into the woods. There he meets The Loner’s; headed by a steely female leader. She explains that The Loners don’t believe in or condone love. In fact, if anyone does fall in love while in their camp, they are buried in a shallow grave that they dug earlier and left to die. What was first an escape from what he thought was a nightmare, being in the company of The Loners is just as restrictive. But David can’t help but fall for a short-sighted woman, a connection that puts him and her in extreme jeopardy. Yet as he is caught between two evils, he must decide what must be done to survive and maybe experience love with the Short Sighted Woman. Yorgos Lanthimos is on dark and typically idiosyncratic form in his direction of The Lobster. His penchant for wide-angle shots and those that cut out faces are apparent and coupled with a number of close-ups. The grim and evocative cinematography of Thimios Bakatakis, shows the oppressive thinking of most in the film and is like a constant gloomy spectre over them. The fact that a lot of it is natural lighting adds a lot of dimension to the harsh surroundings and creepy underbelly of it. Typical of his work, Lanthimos spins mordant and very black humour into The Lobster. It infuses the movie with a strange tightrope that it walks admirably between dystopian shock and stinging lampooning. Absurdist is the order of the day as shocking events take place but are often undercut with a nasty glee and deadpan delivery. Which brings me to the script, as envisioned by Yorgos Lanthimos and his regular collaborator Efthymis Filippou. The strange, clipped way of speaking that was witnessed in Dogtooth is here, with more bite and laughs thrown into the mix. As troubling happenings and the full nature of both systems David finds himself in unravel, we are left with an acidic critique of modern dating and the implications of it. Lunacy is equated with normalcy here as guests of the hotel and The Loners represent two extremes of opinion and enforcement. Conflict with characters arises as both ends of the spectrum clash. And with most characters rendered no name, only a certain quality, weirdness continues to flow through the veins of The Lobster. Be warned, The Lobster will make you laugh as much as it unsettles with a collection of startling scenes. Macabre is one word that comes to my mind when describing this skewering of partnership and the way we all in some way conform to what’s expected of us in regards to relationships. how snap second judgements are apparent in real world relationships is explored heavily and symbolically by the policy of having to find someone who shares a similarity. Though events are exaggerated to grotesque and horrifying heights, they still have something to say to us about the world. And we are also left to deliberate a lot of things, building an ambiguous current from start to bizarre end. The piercing and often mournful score is unusual and another representation of just how outlandish the premise is and how twisted it is when you think about it. A stellar cast get in touch with the weirdness and deadpan nature of The Lobster and what Yorgos Lanthimos envisioned. Colin Farrell displays great comedic chops, of the physical and verbal variety. Looking curiously out of sorts( plus shape), with various, vacillating expressions and with a biting look at things, Farrell is a very excellent lead of the film. 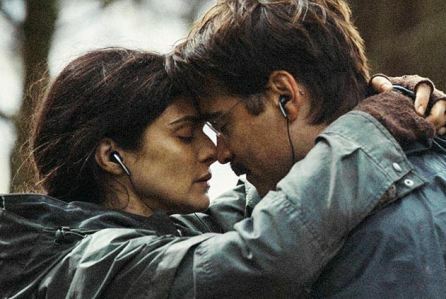 Rachel Weisz shows the most emotion in the film, having the amazing ability to use a monotone voice(typical of the tone of the work of Lanthimos and in narration here) and have a face that expresses so much, particularly happiness and sorrow. It’s a fine piece of work from the always interesting and talented Rachel Weisz. 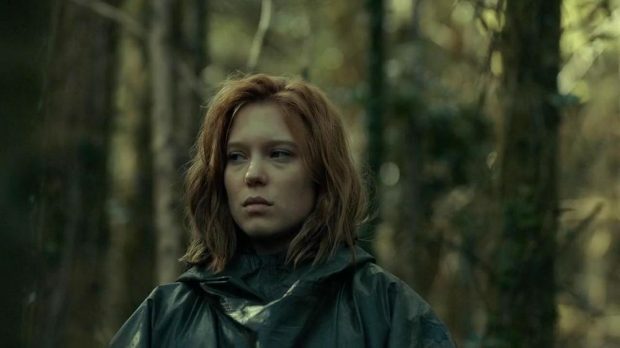 Léa Seydoux is searing and very chilling as the leader of the opposition, whose methods are just as cruel and unusual as the ones David ran from back at the hotel. If looks could kill, Seydoux would be slaying us all with just how vindictively convincing and brutal she is. Ariane Labed has mystery to her as a maid who you never know if you can trust her or not, as there is something sneaky about her. 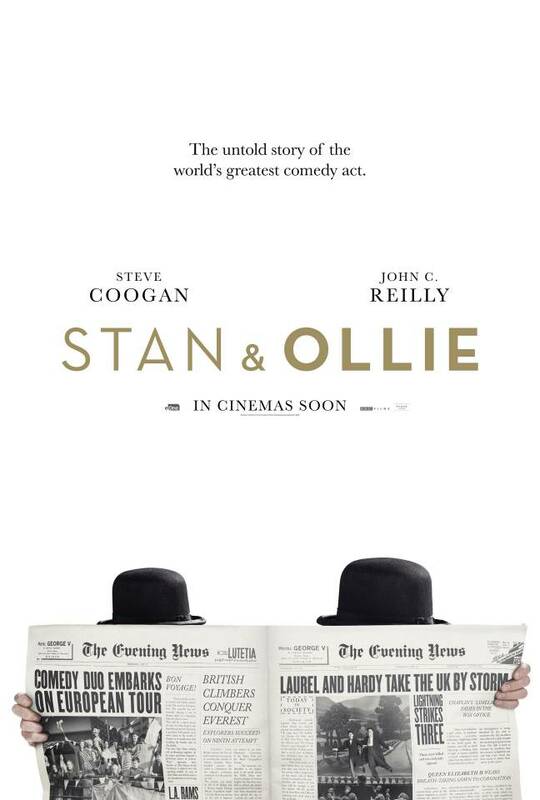 Ben Whishaw and John C. Reilly exude a certain naïveté about them as two men who ‘befriend’ and both want to avoid transforming no matter what. The two guys work well together and are collaborators who understand the ideas at play here. I liked their scenes with Farrell, where the shared awkwardness is purposefully palpable. Out the supporting cast, Olivia Colman is superb at portraying the cold, blunt and seemingly unfeeling Hotel Manager. Colman is a big standout in her screen time for her timing and delivery. Jessica Barden, Ashley Jensen and Angeliki Papoulia all embrace the outlandish and creepiness of the piece, with only Michael Smiley being left in the cold with not much to do. An absurdist story of conformity, dating and dystopia, The Lobster will not appeal to everyone out there. But for those who know of Yorgos Lanthimos and his trademark approach, you are in for a dark but strangely amusing treat that will linger in the mind. The fourth version of a classic story of two careers in opposite directions, A Star Is Born certainly has pedigree. And though some may have scratched their heads at why another remake should be done, I’m sure they’d agree that this version sits up there with the best of them, thanks to what Bradley Cooper and Lady Gaga do with it. Jackson Maine is a country rock star who has seen better days. Plagued by tinnitus and an addiction to booze and pills, his life is going through the motions. Drunk and in the middle of touring, Jackson stops in a drag bar. It is here he encounters Ally; a young woman in a dead-end job with dreams of being someone. She’s a talented singer and has a tough personality but is crippled with insecurity over the shallow people in the music industry who have dismissed her appearance in the past. Jackson is immediately struck by her and she is curious too. They grow closer to each other and Jackson helps Ally make a leap for stardom. They fall in love and marry, with Ally being a good influence on Jackson. She eventually becomes famous after Jackson invites her on stage to perform. Despite her initial nerves, she blows everyone away with her voice. Yet as stardom beckons, people want to mould her into something else and as her success soars, Jackson’s falls. Ally tries to retain her individuality, but her pushy manager has her switch her act and lose herself more and more. This causes an immense feeling of jealousy and resentment that has Jackson reaching for the booze and pills again. All of it hurtles towards tragedy for the couple as one career rises and the other inevitably falls. 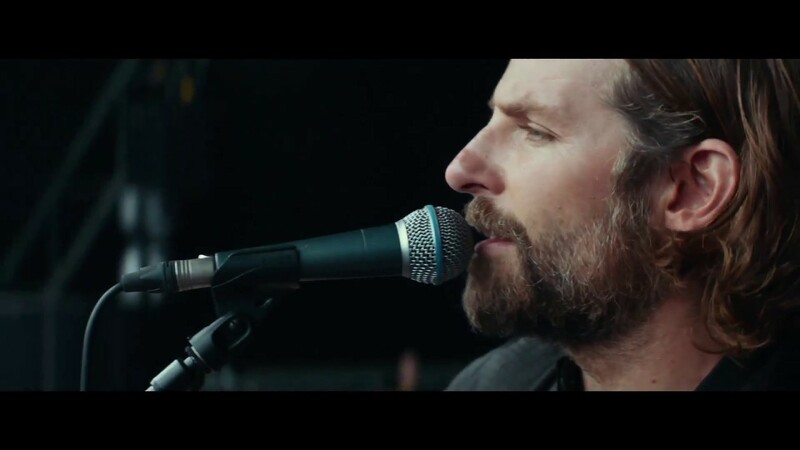 Bradley Cooper makes a remarkably involving and emotional movie with A Star Is Born. He gets straight to the heart of the material and the themes of celebrity and tragedy with cracking results. 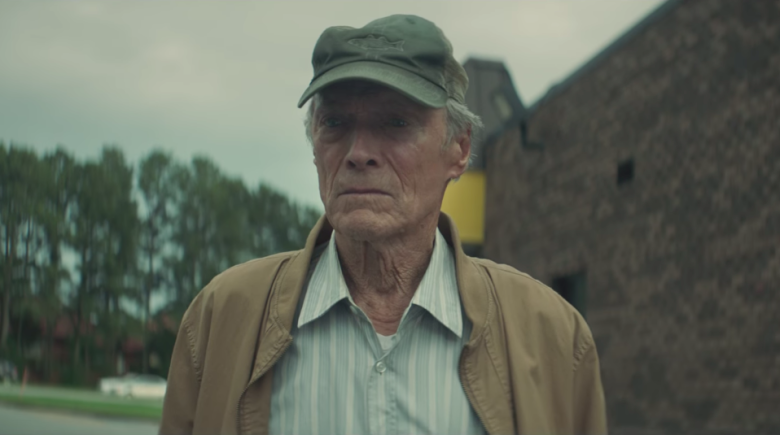 It’s hard to believe that this is his directing debut, as he displays a deft understanding of film making and how to bring us close to the story in many ways. This version feels a bit more gritty, raw and stripped back and is all the better for that. That’s not to say it doesn’t have its nice and quiet moments though and many of this scenes stand out for their impact that has darkness but some lighter touches too. But where the film shines brightest is in the performance numbers. With a soundtrack written predominately by the two leads, A Star Is Born is brimming with show stopping tunes with a deeply personal undertone. One of the best is ‘Shallow’, a duet between Cooper and Gaga where both give it their all and Gaga telegraphs Ally’s burgeoning belief in herself. This song that packs the biggest emotional wallop however is ‘I’ll Never Love Again’. Seriously if you aren’t weeping during that sequence, you’ve obviously taken leave over your heart. a restless camera that often has extreme close-ups of faces and actions is employed throughout A Star Is Born. We are put into the action as love blooms for Ally and Jackson, but resentment grows as Ally’s career takes off and Jackson spirals further out of control. The story of A Star Is Born is familiar to most of us, but the new flourishes show it’s a tale that can be very timeless and take on many guises. It’s been told many times but when done right, like it is here, it really soars.a restless camera that often has extreme close-ups of faces and actions. We are put into the action as love blooms but so does resentment and addiction which spiral out of control. Some may find it to up close in the way it’s shot and that time flies a bit too quickly sometimes , but it’s still mightily effective storytelling despite some minor quibbles. The story of A Star Is Born is familiar to most of us, but the new flourishes show it’s a tale that can be very timeless and take on many guises. At the centre is a tragic love story that is strongly told and fraught with melancholy. It’s been told many times but when done right, like it is here, it really goes to new heights. Bradley Cooper turns in one of his strongest performances in his career. Over the last few years, Cooper has steadily become a very reliable actor and a versatile one. Here, with his usually amiable voiced lowered considerably to a growl( and surprising musical chops), he displays such raw anger, sadness and tiredness that is very believable. Jackson is someone who has success but usually doesn’t see it and instead drowns in pity. Ally may represent the light for his safety, but Cooper finds that Jackson is so wound up and dependent on addiction that the once bright spark will eventually go out. Cooper is nothing short of a knockout here and this is extremely excellent work from him. Any worries that Lady Gaga’s image as a pop star will overshadow her performance are put to rest immediately as we witness her immense talent for acting by drawing on some of her own experiences. We all know she can sing, but here she takes it to another level and rocks us to the core. And her acting is one of the biggest assets of this movie. With personality, strength and vulnerability, she plays Ally tremendously as he feels so real and natural in this film, signifying her skill in this arena. We observe someone growing in confidence but being faced by many trials along the way and it’s played with an authentic and engaging edge. Gaga is at the top of her game with a compelling and sympathetic turn that announces great promise in an acting career. Cooper and Lady Gaga make for an incredible couple as their chemistry is immediate and extremely genuine that we feel the emotional highs and lows of their lives. Sam Elliott, of the moustache and grizzled, deep voice, steals whatever scenes he appears in as Jackson’s aggrieved brother. He’s been there for his brother but has a very fractious relationship with him. Elliott shows him to be the person who says it like it is often bluntly, but ultimately wanting to help his brother in the long run. 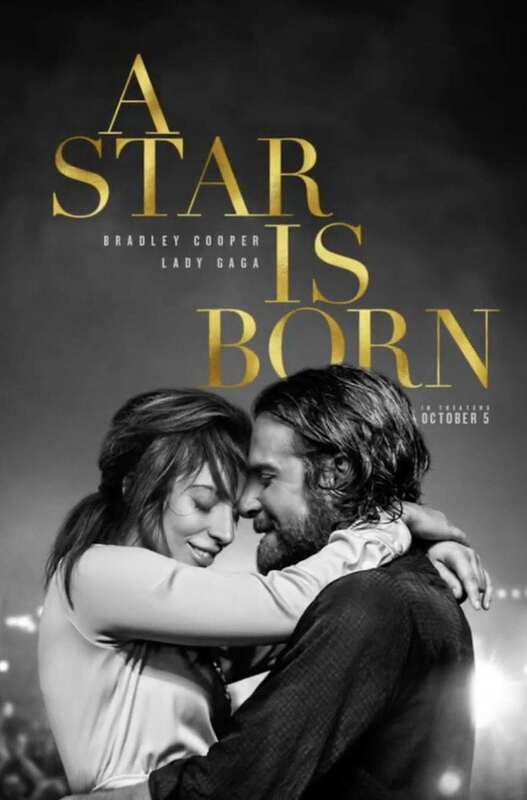 An excellent version of a classic story with two amazing central performances and emotional material, A Star Is Born is strong movie making that has an impact on you. And after watching this excellent version, I’m very tempted to see the other interpretations again.